The Perfect Swimming Pool Mattress Built For Two People! Sit back, relax and enjoy lounging in the hot summer sun. 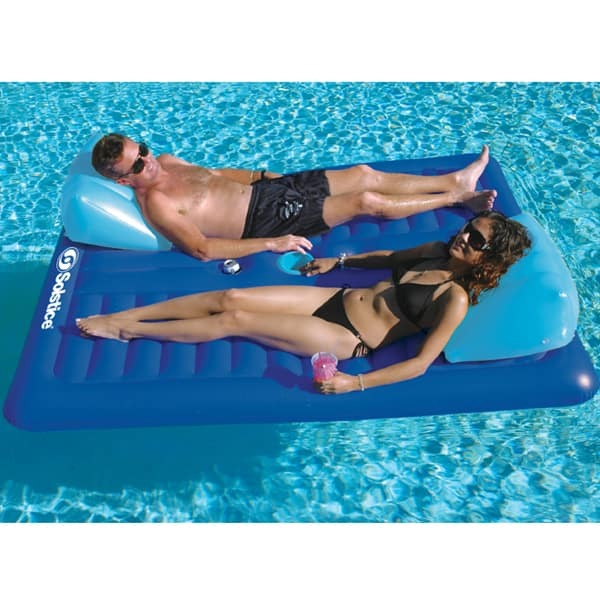 This super fun two person float let's you enjoy your pool while spending time with your favorite pool pal. Made with heavy duty vinyl from America's top named brand maker of inflatabales, Swimline, you will get years of use and enjoyment and keep the fun going all Summer long. Great for couples and fun for kids too.